Comprising of approximately 5 million sq ft, with a total development value of £1billion. The site encompasses offices, advanced manufacturing and logistics facilities, along with hotels and retail. One of the most exciting business destinations in development today, ideally situated adjacent to Manchester Airport. Airport City Manchester will develop 5 million sq ft of offices, logistics, hotels and advanced manufacturing space over the next 10-15 years, with a total development value of £1 billion. Directly adjacent to Manchester Airport, it is perfectly positioned for business with the UK, Europe and the world. It boasts unrivalled connectivity, and enables businesses to create a bespoke building in high-specification, highly serviced environment. Enabling businesses to embrace a changing future means helping them flex and grow. One of the cornerstones of our offer is the flexible space we can reserve for businesses. 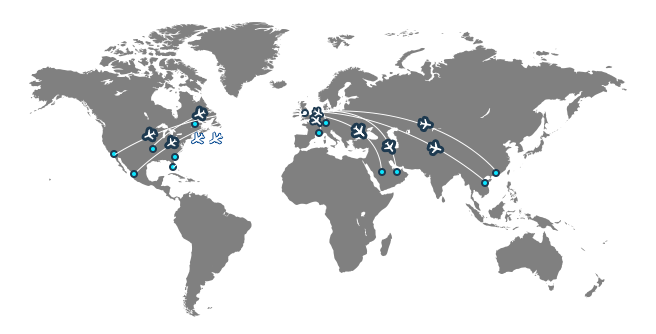 Manchester Airport provides access to anyone, anywhere in the world. A dynamic working environment that helps businesses keep up with a constant pace of a change. Part of pioneering the future of the workspace is thinking about what that means for work-life balance or blend. We are in a unique position; commutable from central Manchester to attract young talent and accessible to south Manchester’s family belt to retain experienced employees. We are developing prime buildings, amenities and environments for every business need and setting the gold standard on quality. 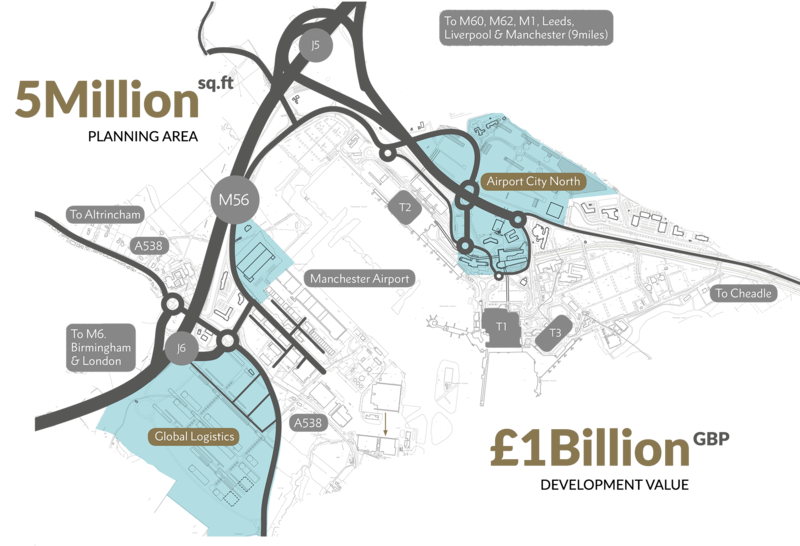 Manchester Airport links 28 million passengers a year direct to over 220 destinations –the global gateway in the north.